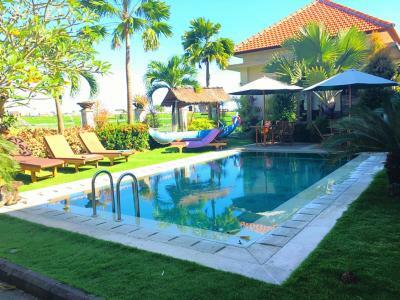 Lock in a great price for Canggu Bona Kubu – rated 8.8 by recent guests! Close to all we had scheduled for this part of our trip. Nice and helpful staff. Very pretty manicured and well-kept garden area fringing the pool, looking out on a view of rice paddies. Good enough location: a block walk from the main drag, though a bit further away from the beach (about 25 minute walk). New little cafe with basic meals next door, too. As it's a block off the main drag, it's quieter than many other locations in the populated area Canggu (subject to the constant sound of motorbike engines). Absolutely beautiful place to stay in Canggu. Thank you! Arriving at Bona kubu was great because everyone went out of their way to welcome you. The view was fantastic and there was a great pool. Very friendly staff, outside pool and garden area top! Bad was very comfortable! 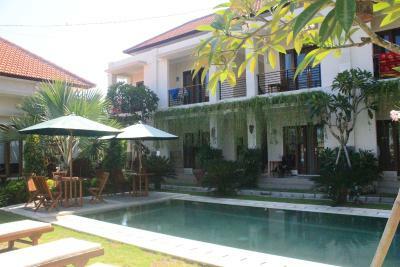 Great and clean place to stay in Canggu. Staff are helpful and have many services on site (excellent and cheap laundry service; water and soft drinks for purchase; motorcycle hire, surf lessons, taxi). 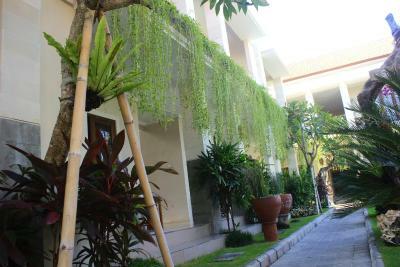 The Room size is great and has a lot of space (2nd floor rooms have wonderful views of pool and rice fields). The room has a Tv and hot water shower (limited hot at a time). Staff are excellent and very nice to help with whatever you need Close enough to walk into Main Street (near Crate, Moana, Vida Cafe, Made Cafe, Oka Bakery). Quiet as it’s located down an alley from the main road Pool is great (bit too warm) but nice place to lounge outside. Really enjoyed staying at this family owned guest house. Wayan the proprietor was very friendly and very helpful. All of the staff at the guest house were also friendly and responded to any requests we made promptly. We would certainly stay here again if we ever return to Bali. Staff was friendly and swimming pool was clean and nice. The view was stunning - try to get the second floor room closest to the rice paddies. I arrived very last minute at 1130pm after a problem at my last hotel and immediately felt welcome at at ease. Wayan was wonderful - friendly and helpful and remembered my name. The room was very clean and the AC was great. I woke and had a wonderful peaceful morning moment. Breakfast was simple but appreciated. Great place to stay. 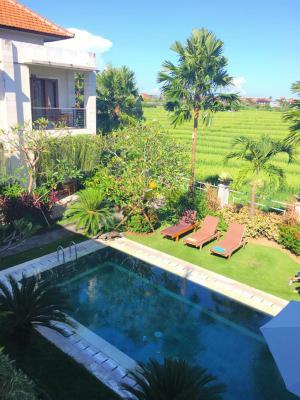 Canggu Bona Kubu This rating is a reflection of how the property compares to the industry standard when it comes to price, facilities and services available. It's based on a self-evaluation by the property. Use this rating to help choose your stay! 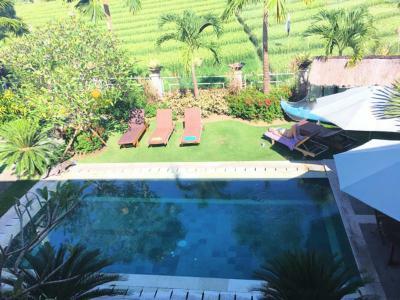 One of our top picks in Canggu.Located within 1.1 miles of Echo Beach and 3.8 miles of Vue Beach Club in Canggu, Canggu Bona Kubu has accommodations with free WiFi and seating area. Every unit comes with air-conditioned rooms and a kitchenette with a toaster and electric tea pot. A balcony with pool views is offered in all units. 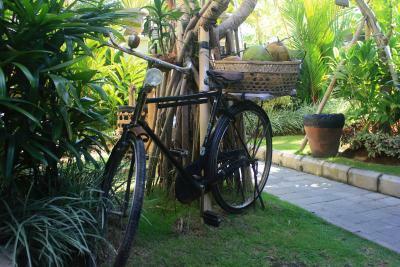 Both a bicycle rental service and a car rental service are available at Canggu Bona Kubu. 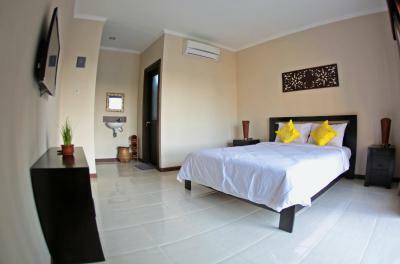 La Laguna Bali is 4 miles from the accommodation, while Batu Bolong Beach is 1.1 miles away. 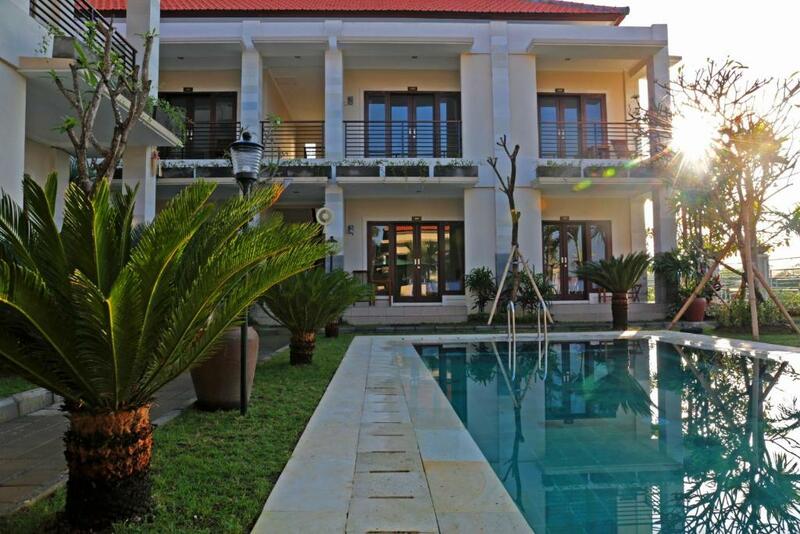 The nearest airport is Ngurah Rai International Airport, 11 miles from the property. 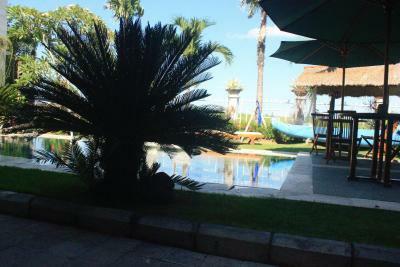 뀐 Located in the top-rated area in Canggu, this property has an excellent location score of 9.0! 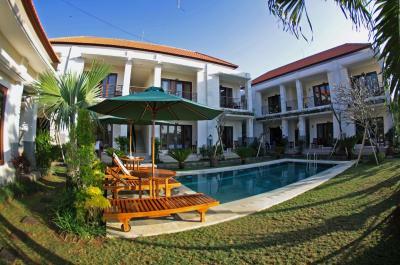 When would you like to stay at Canggu Bona Kubu? This double room has a balcony, toaster and seating area. House Rules Canggu Bona Kubu takes special requests – add in the next step! Canggu Bona Kubu accepts these cards and reserves the right to temporarily hold an amount prior to arrival. Everything was just perfect !! They were always asking how I was feeling , and how could they help me . I wanted to stay longer in a room in the second floor , and they helped me out perfectly ! Nice place, frienly staff, big rooms and drinking water tap was nice, no need to buy water. Nice pool. The staff were amazing. Felt like family. Noisy chickens next door but not the fault of the hotel. Staff are extremely friendly, couldn't do enough for you. Very smiley. Pretty view of rice fields, calm and relaxing. Out of the business of canggu but close enough to walk to the beach. Beautiful pool. The staff were very friendly, and made an early check out (5 am) nice and easy. Great location for bars, restaurants, shops etc in Canggu. We were only there for a night, but it was good. Super friendly and helpful staff. Nice facilities and comfortable rooms. The outdoor furniture could do with an update. This was my second week-long stay at Bona Kubu, so they feel like family now. 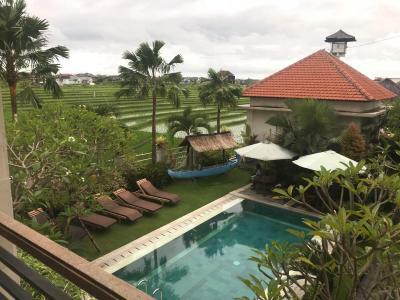 Perfect location on Batu Bolong, and overlooking the rice-fields. Request a room upstairs if you can. Shower water pressure a bit low. Originally thought breakfast was to be served in warung next door but turned out only got continental consisting of toast and fruit. 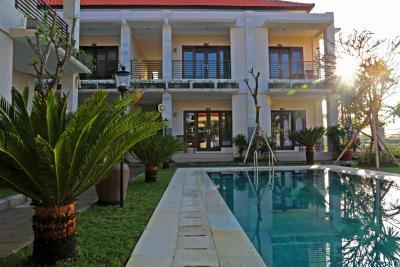 A great location in Canggu. Far enough off the main street (which leads to the beach) and backed by rice fields to be quiet, but easy enough to walk to all the great restaurants and the beach. Property can arrange scooter hire. 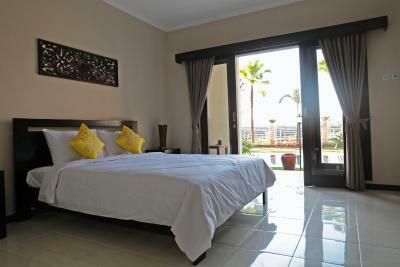 Nice spacious rooms on two levels overlooking the pool. Comfortable bed, console table, wardrobe, small sink. Bathroom had hot water shower and toilet. Two chairs and small table outside on terrace with drying rack. Pool was great, but only six loungers. Staff friendly. Water bottle refill available for free! Continental breakfast available poolside until noon. Beautiful, quiet place on a good location. Great pool, good bed, and amazing nice staff! They call you by your name every time they see you, so nice! The bathroom was very simple, not bad but simple. The sink was located outside of the bathroom and there wasn’t anything separating the shower from the toilet. Peaceful. 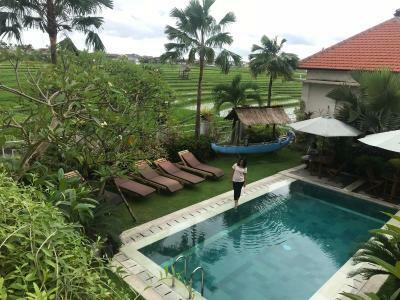 I loved the view over the rice fields and the outdoor shower by the pool over looking the fields was great! The staff was very kind and helpful but still respected your privacy. 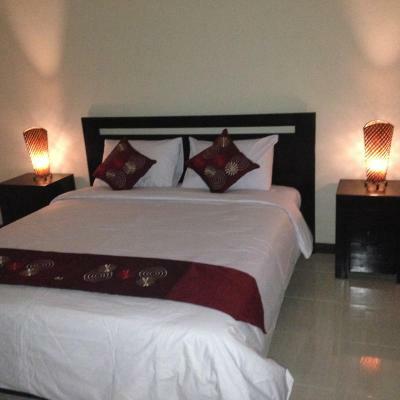 Location is very nice close to the main street with nice restaurants just a short walk from the hotel. I felt safe as an alone woman to walk to and from the hotel. Bed was comfortable and the room spacious. Breakfast is only toast, nutella/peanut butter, fresh fruit and coffee/tea. Good water pressure in the shower! The fact that there was no fridge in the room. A kettle would have been good also. There were facilities to get hot/cold water at the lobby but only a small 'kitchen ' area with limited appliances. Description of room when booking did imply every room had kitchenette area toaster etc., rather misleading! Air conditioning could have been colder. The location was peaceful overlooking the rice fields. Pretty garden and adequate pool. Friendly staff and willing to assist. Little disappointed when we first arrived but once we adapted we enjoyed our stay! Water was always hot. Toilet and shower combined. Would stay again though.